I have been looking for this song for forty (count 'em) years. I heard this on the radio in 1972, but was never able to find the 45 or LP. 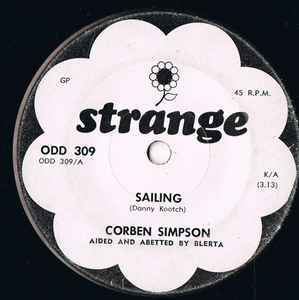 EMI have neglected to release any of Corben's work onto CD, except for the odd inclusion on a compilation discs, such as "Running To The Sea" or "Dance All Around The World", and the Blerta collection, which doesn't even include "Auntie Ada". "Sailing" and "Have You Heard A Man Cry" are two recordings I would rank as world class. HYHAMC actually got a Golden Scroll in 1975 for being the best NZ song written in the whole of the 1970s, a decision I whole heartedly agree with. It always gives me goose bumps. Corben's songs can be heard on YouTube, but EMI don't want you to buy any CDs. How this is not a crime is beyond me.